McRaptor Gaming: Semifinals Almost Here! The final four bracket is in and we've got a hell of a final four in front of us. The_Happy_Hob vs. Squillakilla??? Are you kidding me? This is nuts. Gino the absolute no hit MACHINE vs. Couchjockey the fireball spewing BEAST?? Three of the four finalists locked in with zero hit runs in the first round. We're definitely going to see some high level competition in the final rounds. 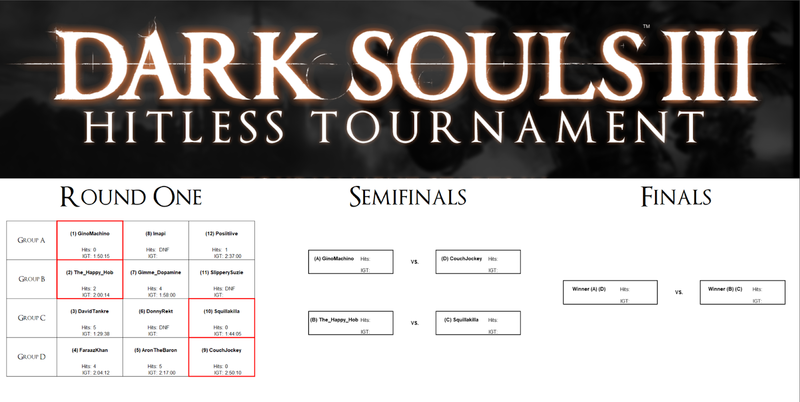 Semifinals cast begins at 3 pm (EST) Aug. 11. We'll be joined by an excellent cast of commentators, including Faraazkhan, SlipperySuzie, Wins1337, and Vswed.